Shiva danced the world into existence... that's a very nice thought. 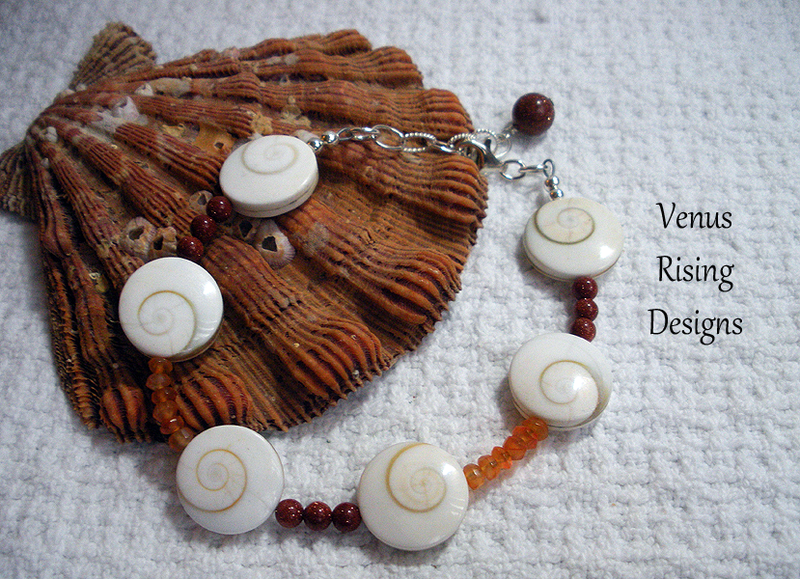 Beautiful beads made from Eye of Shiva seashells are the focus of this bracelet. Off-white with their distinctive spirals, the double-sided shell beads are accented with rough faceted carnelian and sparkly, round goldstone beads, with a goldstone dangle. The bracelet fits wrists 7" to 8-3/4"; I can adjust the chain length if needed. Sterling silver beads, chain, and findings.